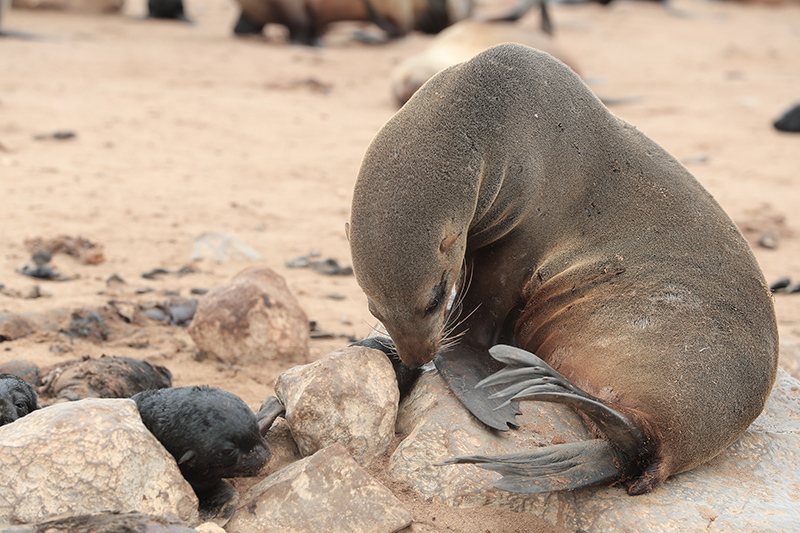 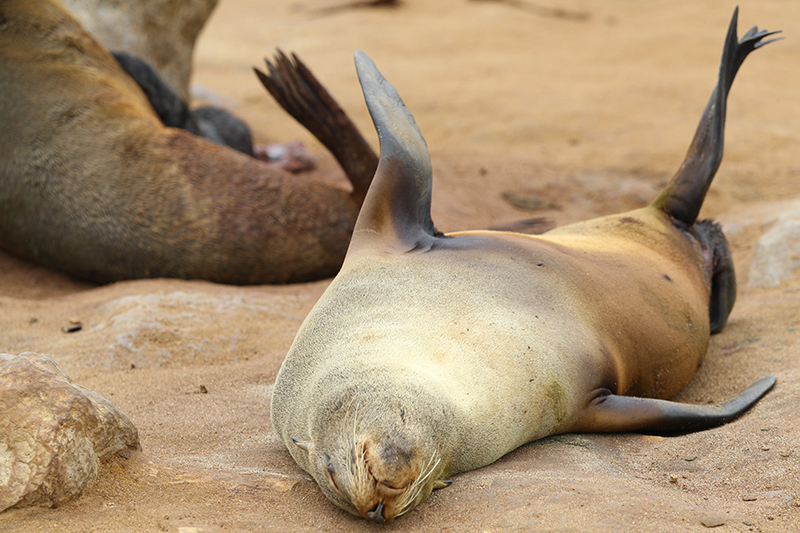 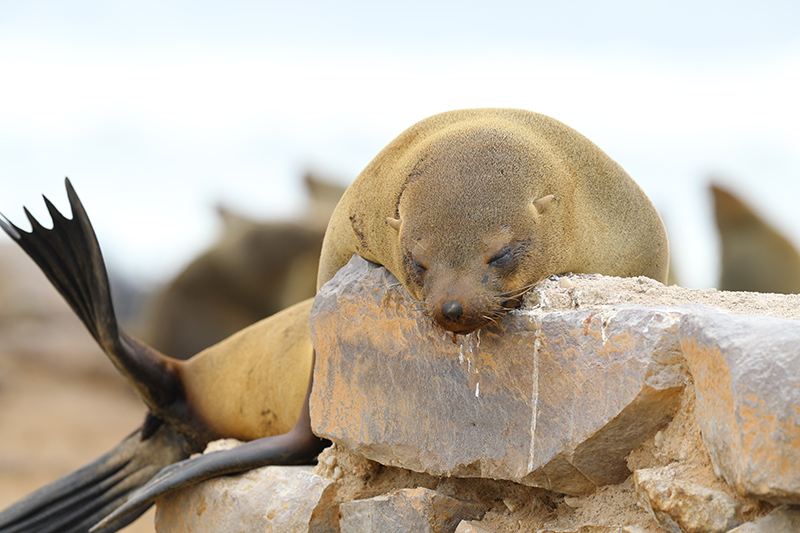 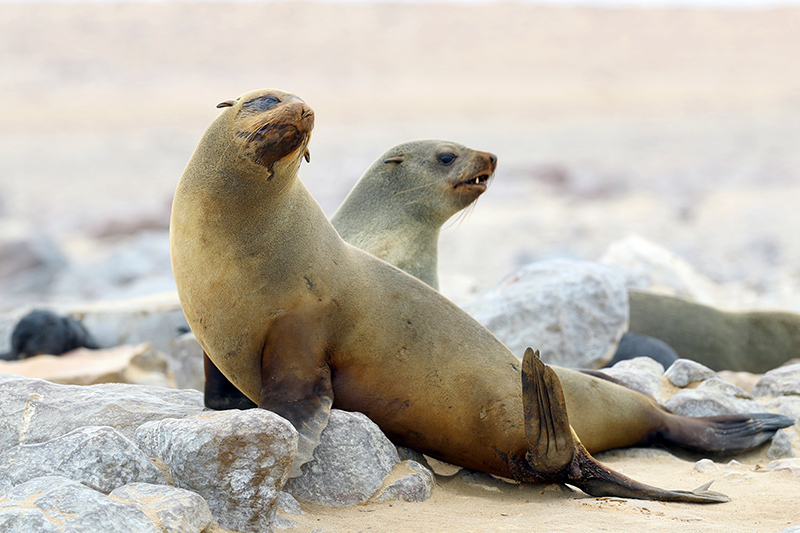 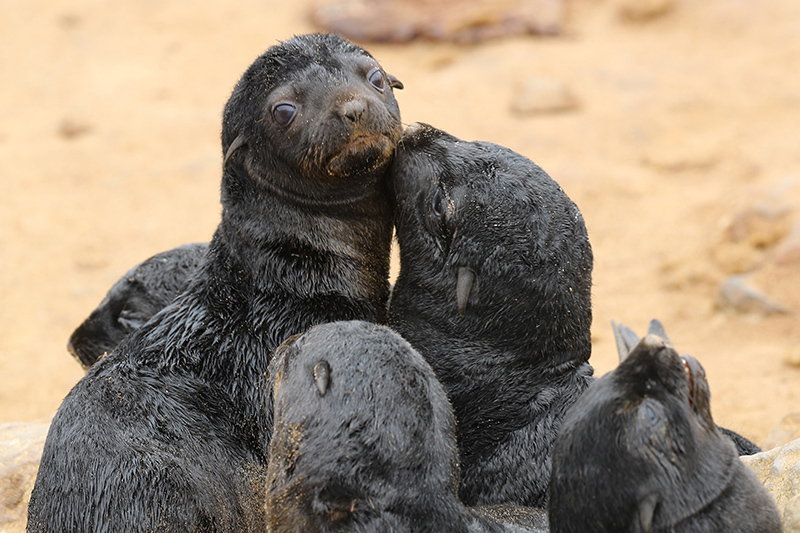 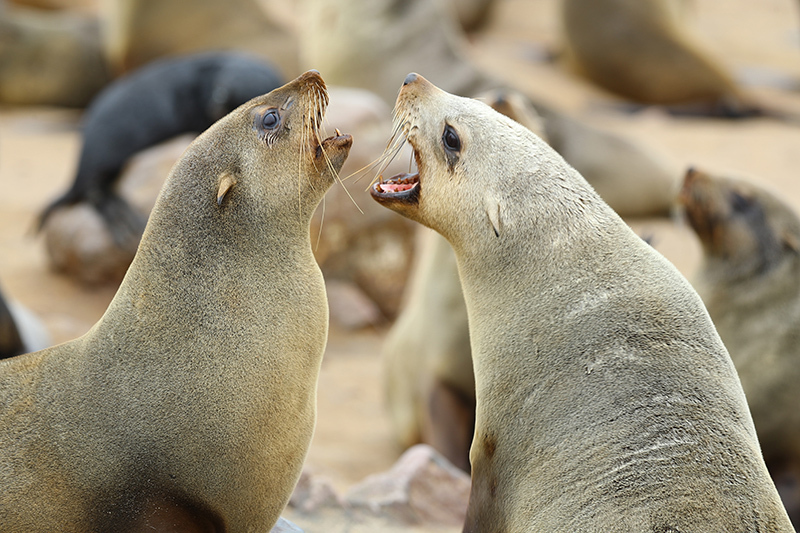 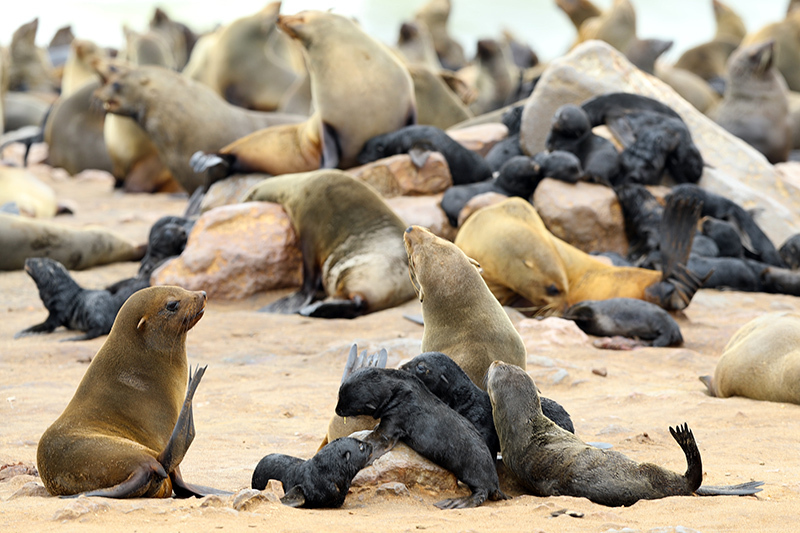 In a recent trip to Namibia, photographer Gordon Donovan visited Cape Cross in the Skeleton Coast, the home of the largest colonies of Cape fur seals in the world. 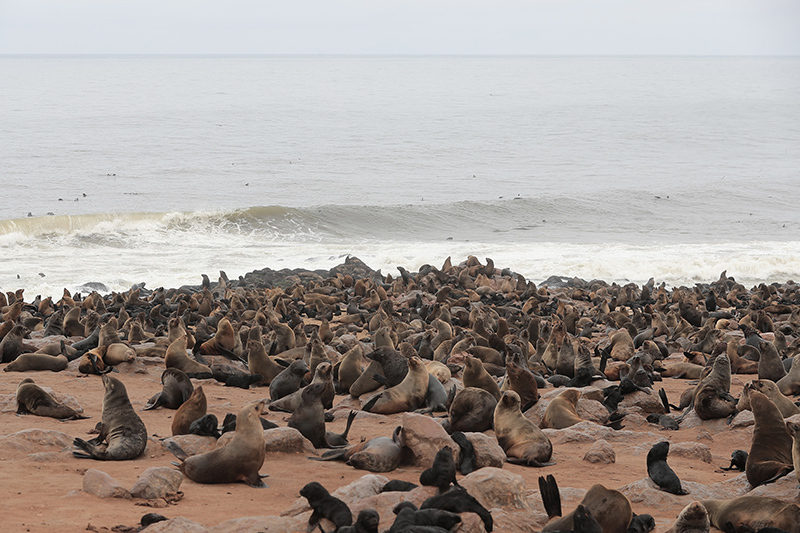 It is nicknamed “the Smelliest Place on Earth.” After checking in with Namibian park officials and paying the minimum fee, he drove to the coastal headland. 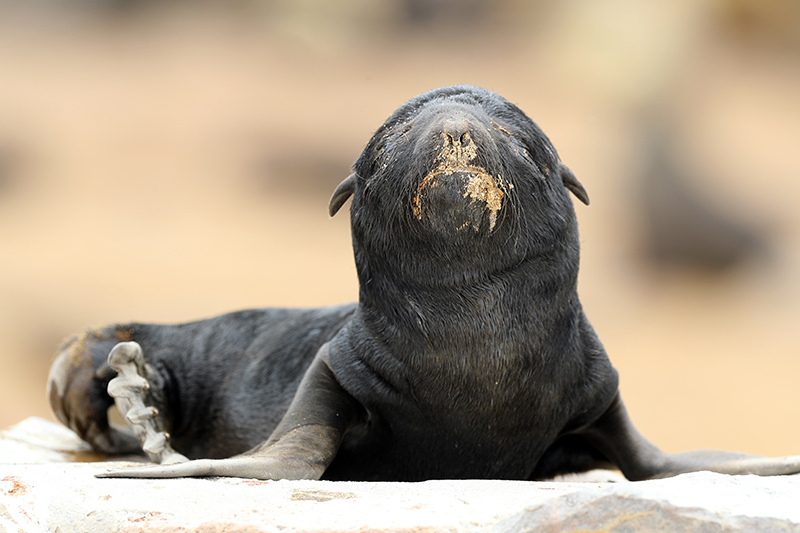 As he stepped out of the vehicle, the smell of the ocean, seals and dead animals filled the air. 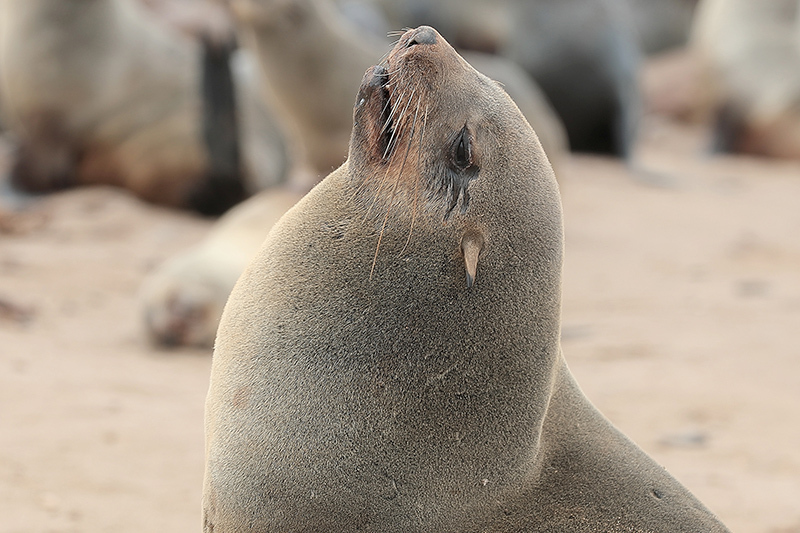 It was not sunny, and only 15 degrees Celsius (59 Fahrenheit), so the smell was not as overwhelming as he had been led to believe it would be — or at least, not today. 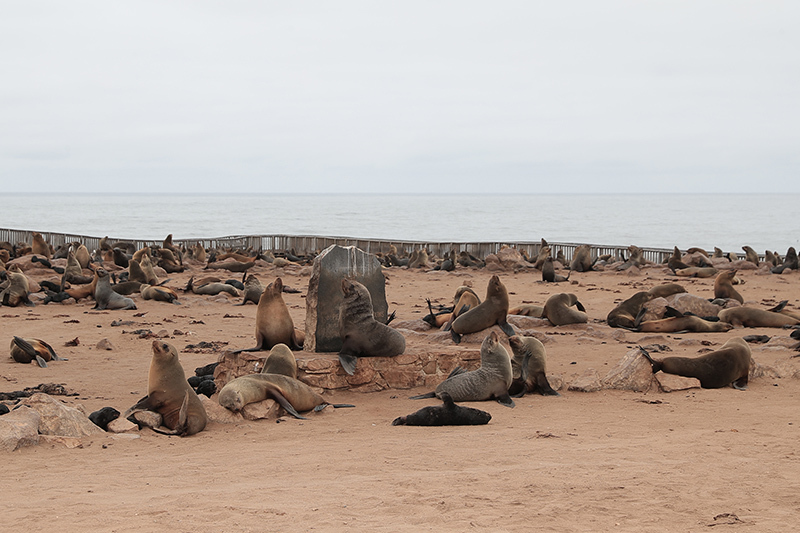 The parking area was filled with the carcasses of dead seal pups killed by careless drivers. 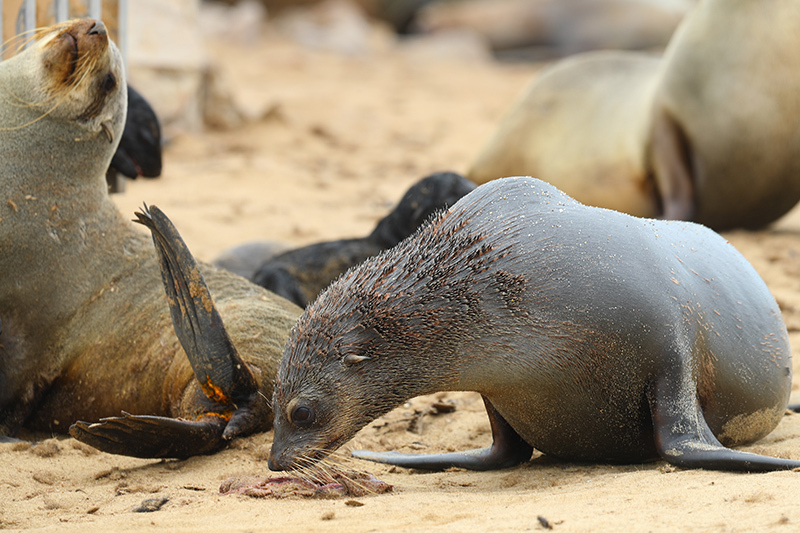 The beaches were littered with dead pups that either been crushed during a skirmish between other seals or had died of starvation. 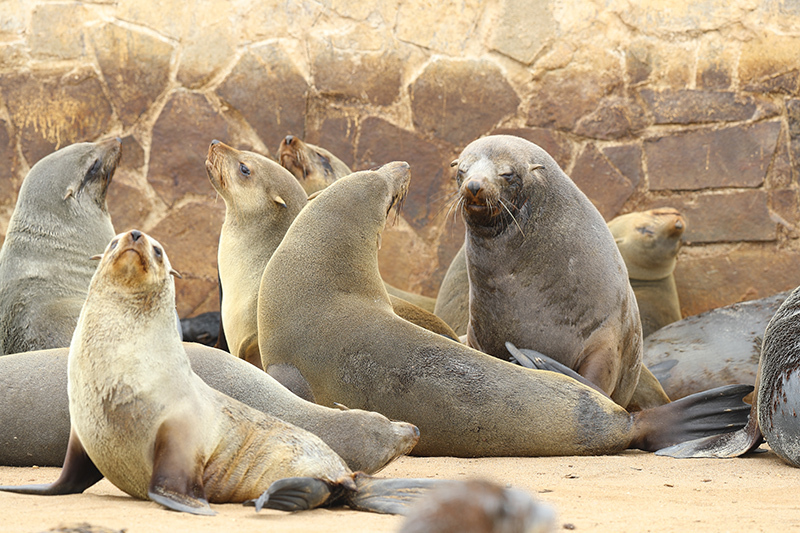 Walkways built for visitors had been overtaken by seals. 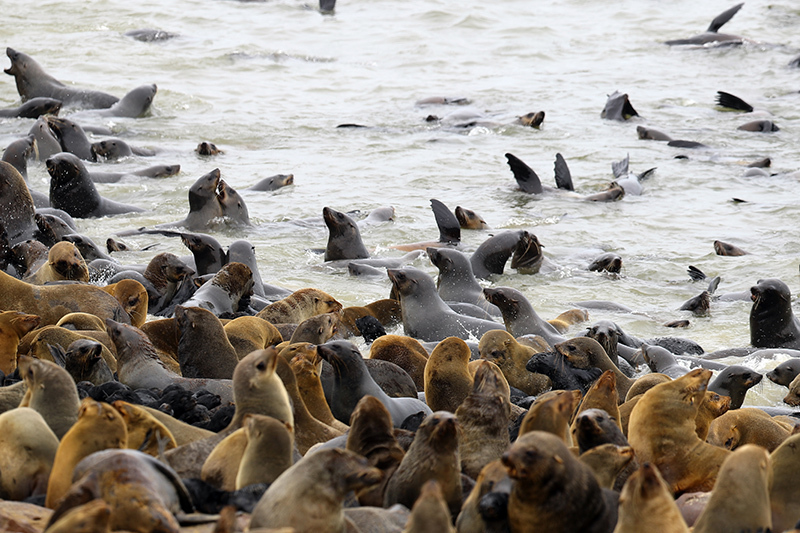 The seal population stretched on forever, thousands and thousands of them filling the beach, the ocean and the parking area. 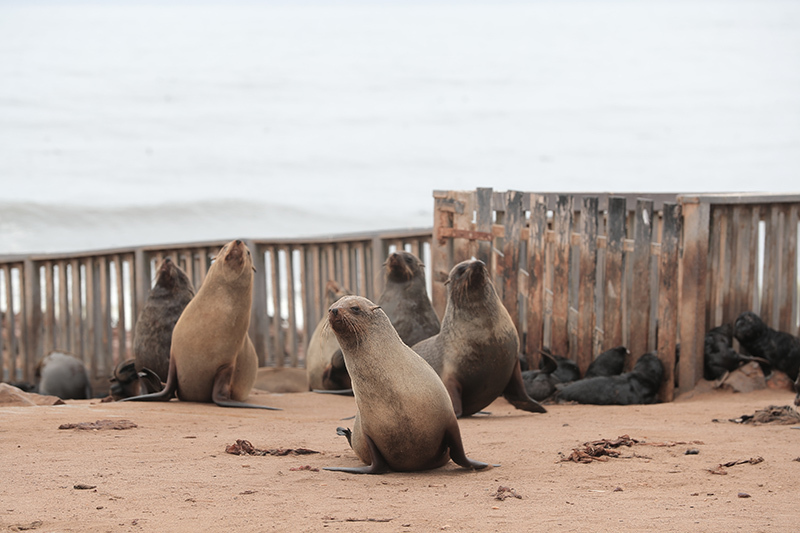 Public facilities and walkways for visitors were overtaken by the seals, making access to the beach access impossible. 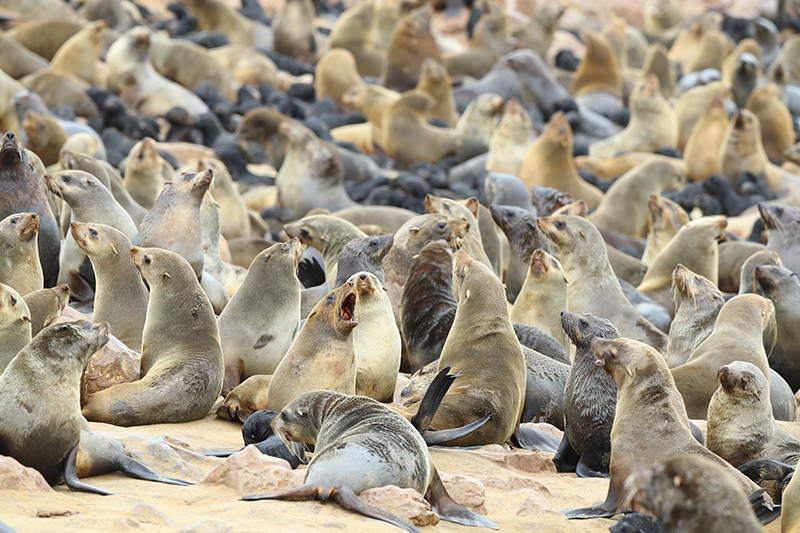 But in general, the impression conveyed on the beach was of multitudes living the life of Riley.